This post is long overdue and I’m sorry I’m juts now getting to it! But nonetheless, it is totally worth the wait! 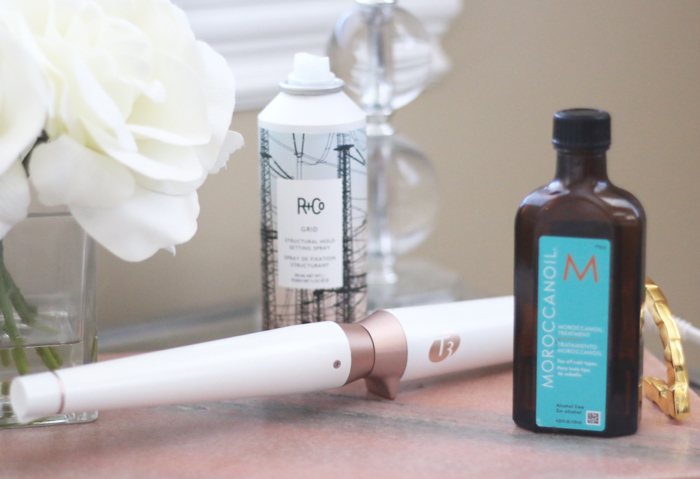 I constantly get asked how I do my hair and what tools I use to achieve a messy curl! Well, now you’ll know! 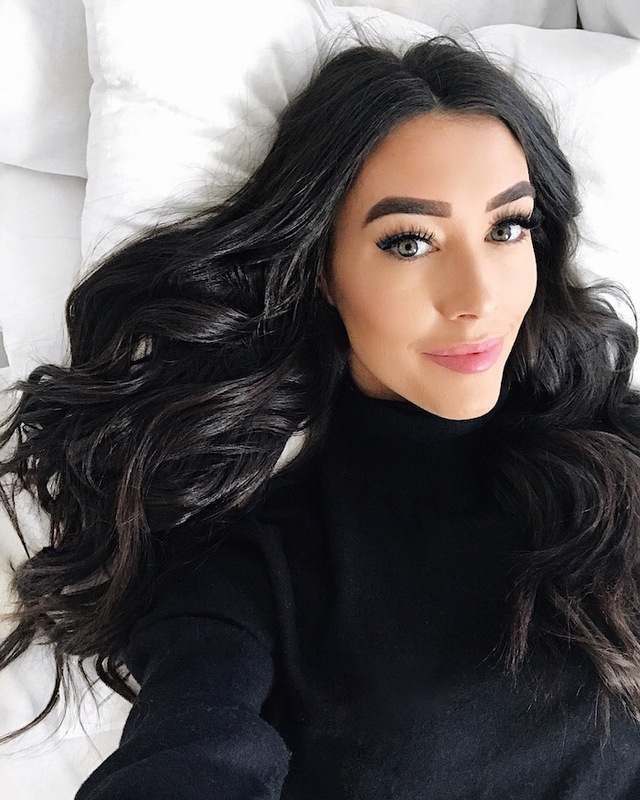 I’ve collected all of the questions I’ve been getting about my hair over the past few months and I hope I am able to answer them all for you! I’m also teaming up with Nordstrom to share with you guys some books live been using for years (they are must haves + quality). I recorded a super raw (real life) video of how I curl my hair AND I will list every single item I use to get my hair lookin’ real nice! I want to take you through a step by step of how I curl my hair, but first lets talk about my regular maintenance, or everyday hair care! Keep reading for all the good parts! Disclaimer: I get tons of questions each week of how I do my hair and I made it a point to address every questions I’ve been asked in the past few weeks! I’ll go over my daily hair care routine, what products I love, how long it takes to curl my hair and many more! I wash my hair every 3-4 days! Now, this is super important for me because my hair does so much better when I don’t over shampoo. I already have dry hair so I try my best to be cautious of over shampooing! Dry hair problems.. I oil my hair every other night with Moroccan oil. I keep my extensions in while I do this and will put any excess oil I have left on my hands on the ends of my extensions. I am not huge of cutting my hair. I’ll have my sister trim my hair once or twice a year but no more than that! I color it myself at maybe once a year (separate post). I haven’t colored it in over a year now. I straighten it the night before I curl my hair! I do this because my hair is so thick and it helps my hair lay better + less frizz. I also love to use my T3 Blow dryer whenever I blow dry my hair. Not only does it take half the time, the frizz is minimal. 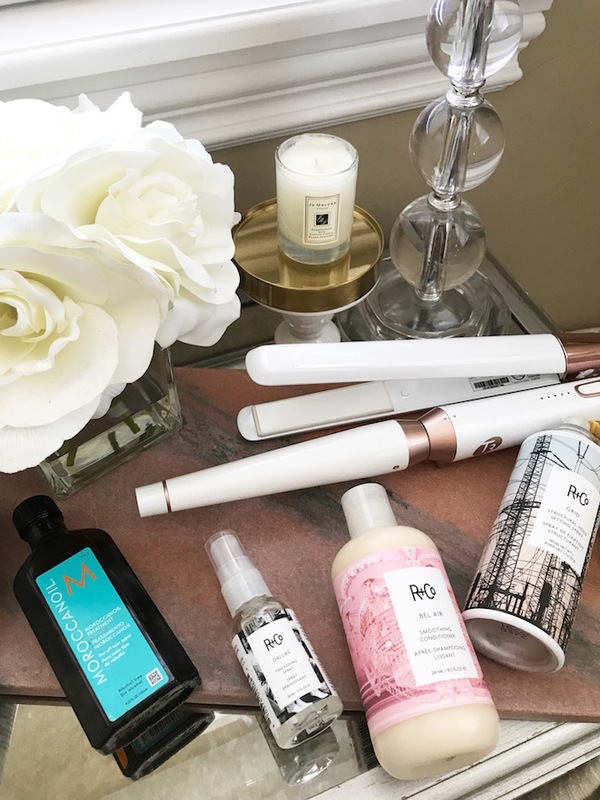 Products I use AND love! 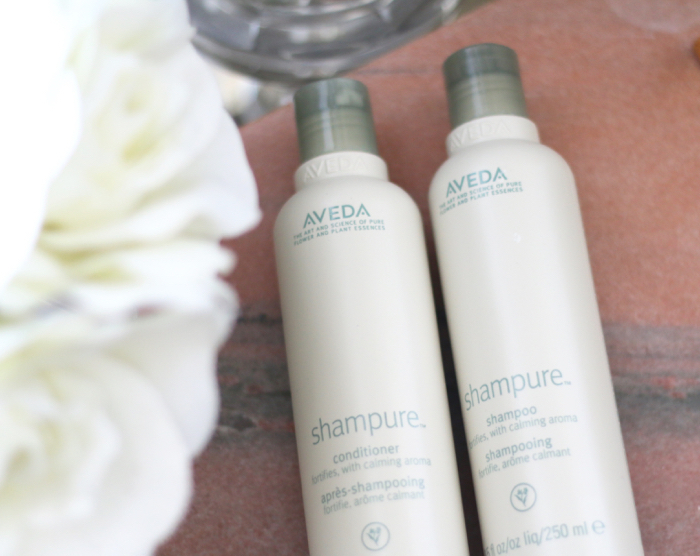 Shampoo- Aveda shampoo (shown above) I love this shampoo because it is simple. It stripes my hair from all the dirt and oil to give me a fresh, light weight hair! It’s really important not to over do it when it comes to using a heavy shampoo. It can make or break your hair. My opinion is, less is more when it comes to the type of shampoo you use or else it becomes too heavy. Conditioner- Aveda conditioner This is simply the sister conditioner to the shampoo above. I love it for the same reasons. It’s fresh, lightweight but gets the job done and leaves my hair lightweight. 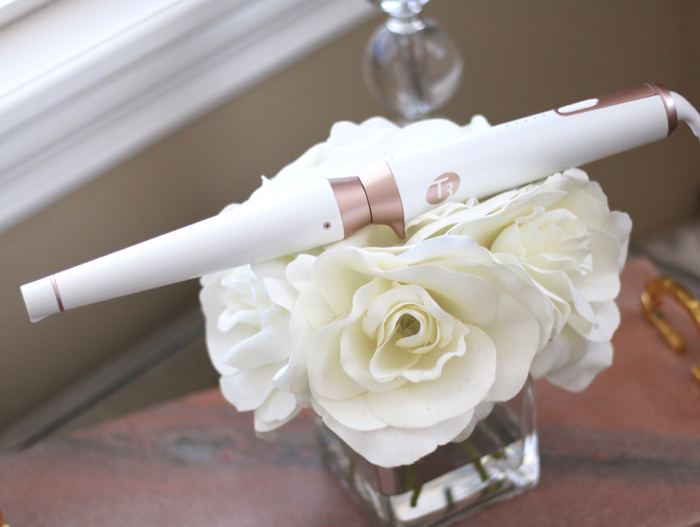 Curling iron- T3 wand. I have really loved using the wand for the past couple years now. I was skeptical of wands at first because I wasn’t sure if they curled well but seriously, I cannot live without this curling iron. It gives me the most beautiful waves! 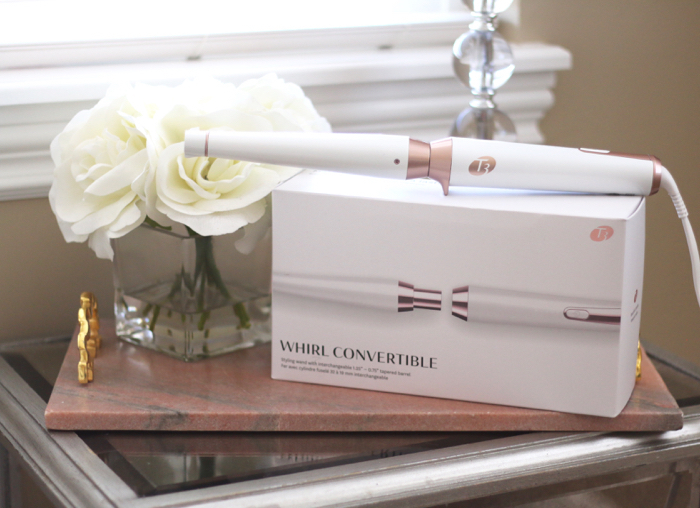 It is definitely a pricey beauty item but I’m telling you, this wand is totally worth the investment! I get a lot of questions about people being confused because the barrel is 1.25″-.75″ they say that it’s small and my curls are always larger but remember they fall over time which is why I curl it with a smaller barrel and I talk about that more in my video. 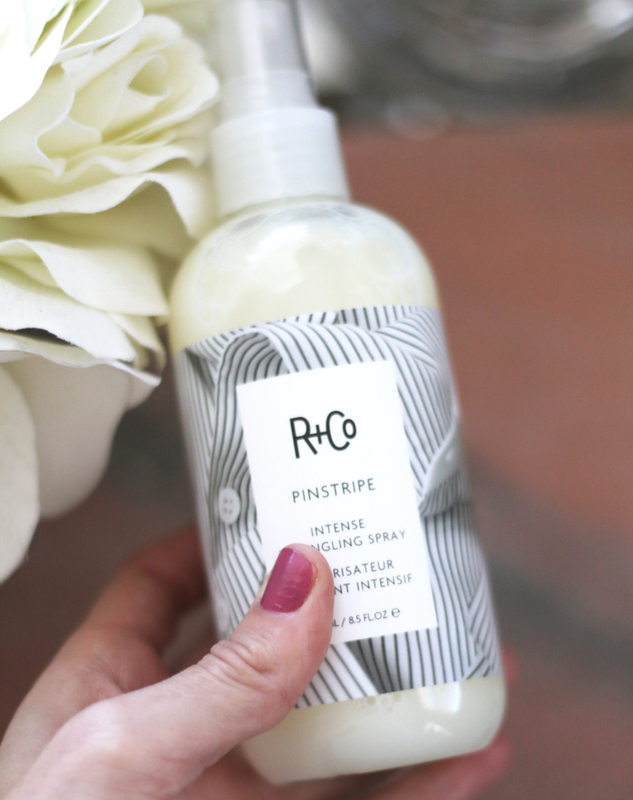 R+CO- I like to use these 2 products, the shampoo and conditioner in-between using the Aveda because it smooths my hair out and they smell amazing! I think it’s important to change up your shampoo and conditioner every other wash so your hair doesn’t get any build up of on specific product. Also, their spray-in conditioner is a must! I always spray this in after every wash. Again, it smells heavenly and it soft on my hair but not heavy! 1. Straighten it the night before! 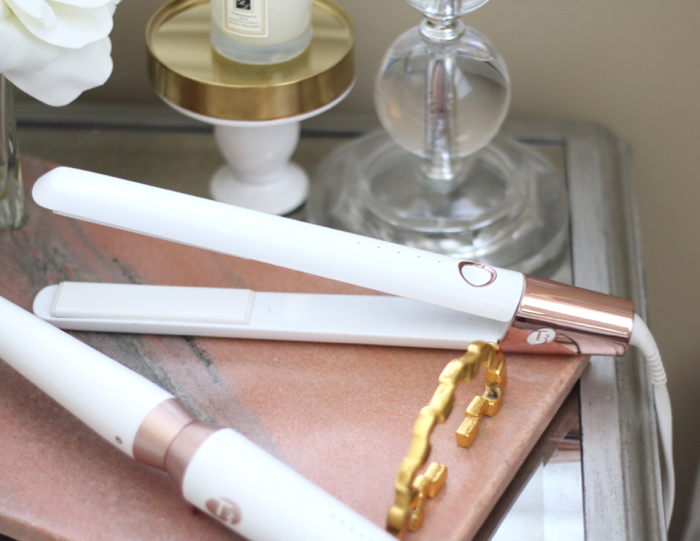 Super important for those of you who have thick hair & want a smooth curl! 2. Hairspray your hair really well before you go to curl it. Brush through it before you start the curling but this will help hold your curls and give your hair a little texture. 3. Curl super tight so it can fall throughout the next couple days! I usually curl my hair in the morning unless I need to be up super early in the morning! Then I will curl it at night and sleep in the curls (best kept, not so secret. I usually do this if I have a photoshoot in the morning or we are leaving to the airport – so easy).